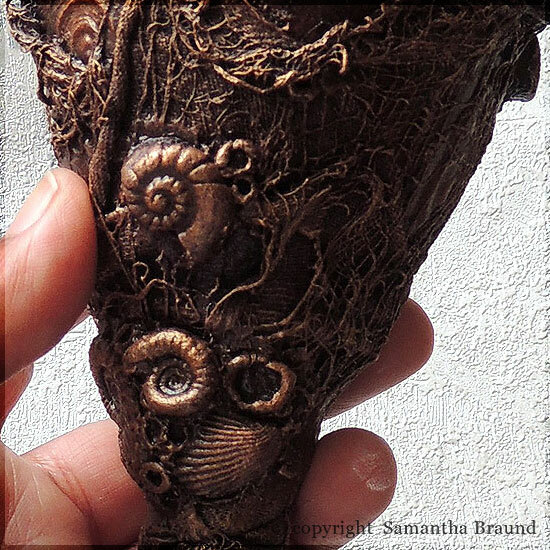 Powertex is still proving to be my go to medium for mixed media artwork. 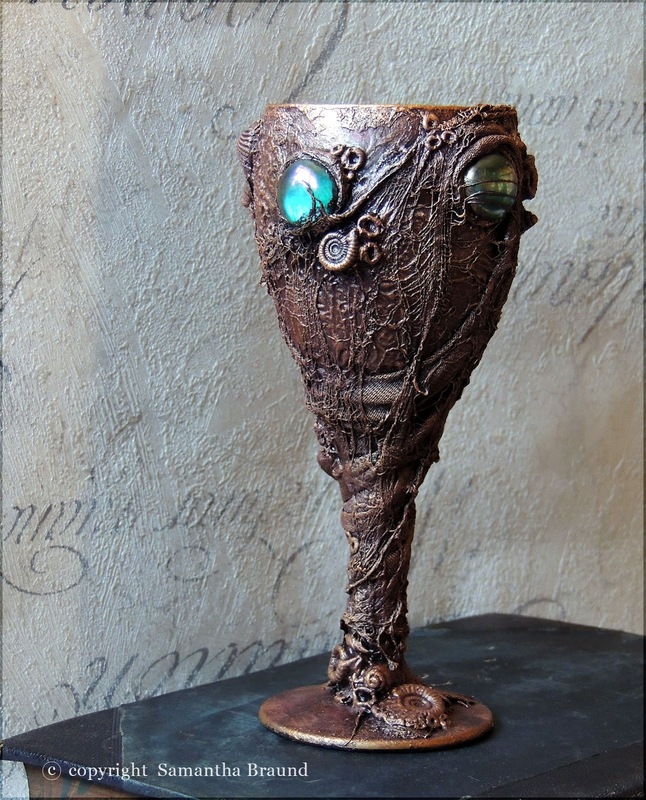 It is virtually a magical substrate that helps me to create whatever is in my mind's eye. 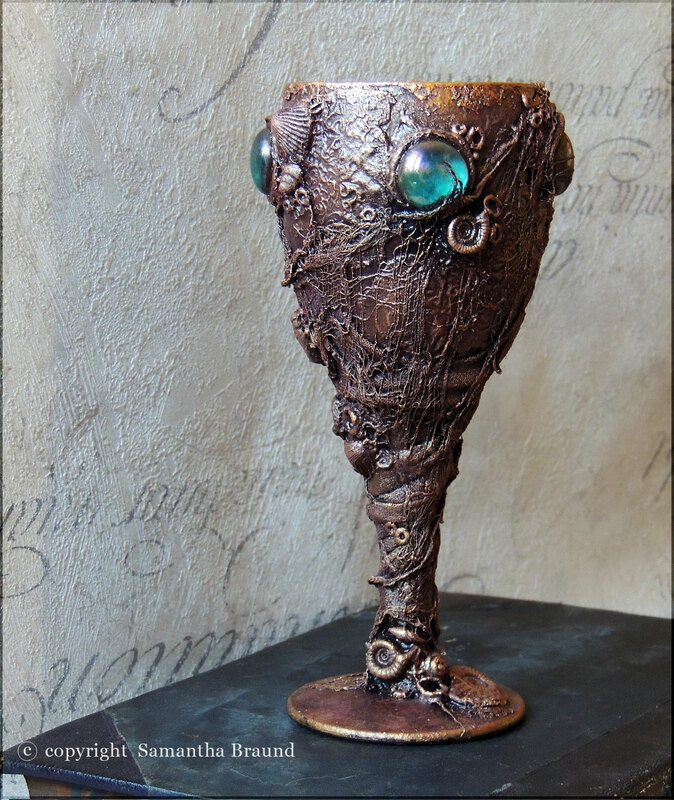 For this piece I upcycled an old wine glass and with the power of powertex, I created sculptural clay elements, and combined these with it's fabric hardening properties to create this Miss Havisham-esque Pirate Captain's Goblet to be found on a shipwreck. 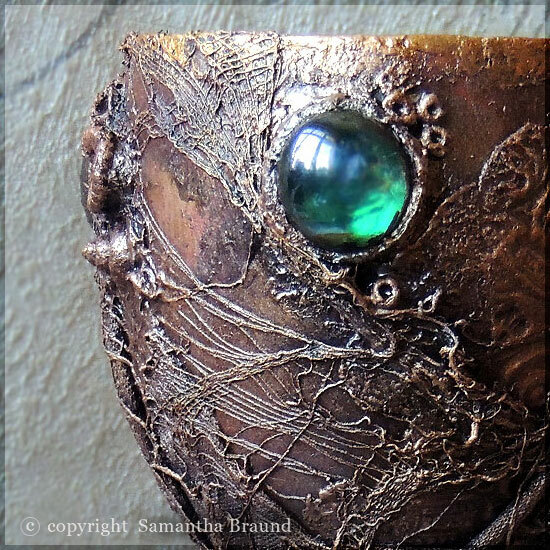 I was also able to use Powertex as an adhesive to firmly embed my glass gemstones too. 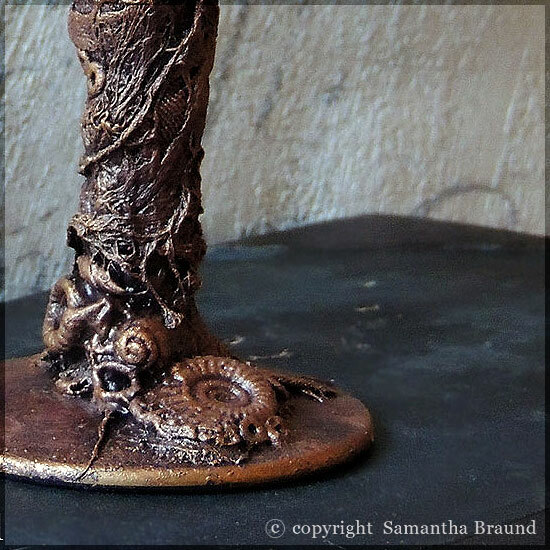 I used the Powertex range of coloured powders and metallic micas as well spray on Bisters to create the amazing distressed paint effects. 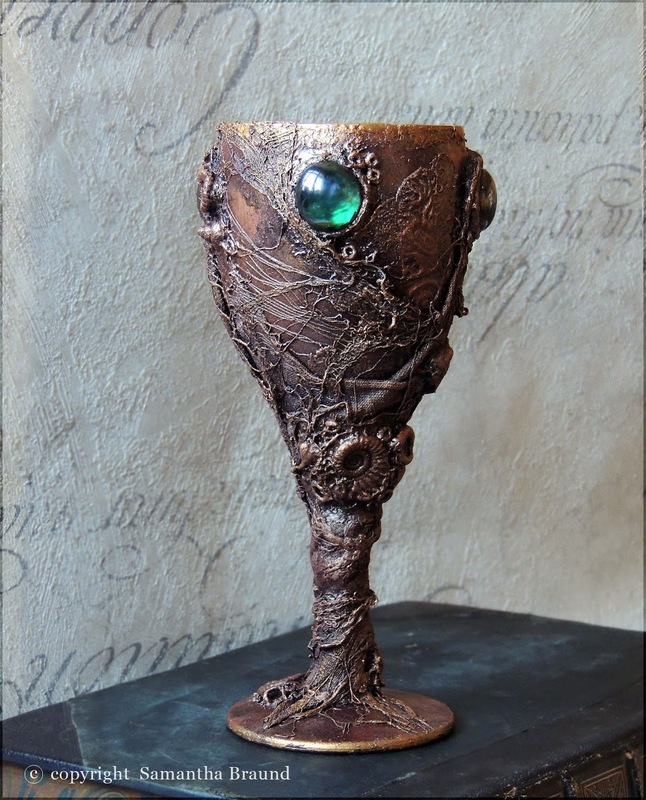 The best part too is that the whole piece is weatherproof, and non toxic so you could drink from this goblet if you wanted to lol. I think next time I will leave a section of glass free at the top so that you can see your wine in the glass! 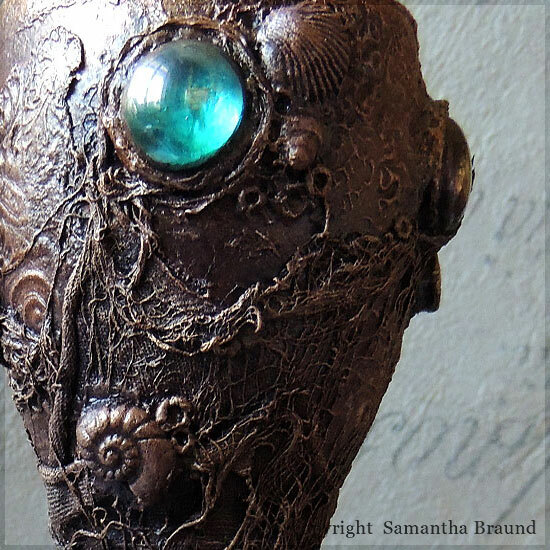 I'm working on creating a series of Pirate Treasures themed workshops. 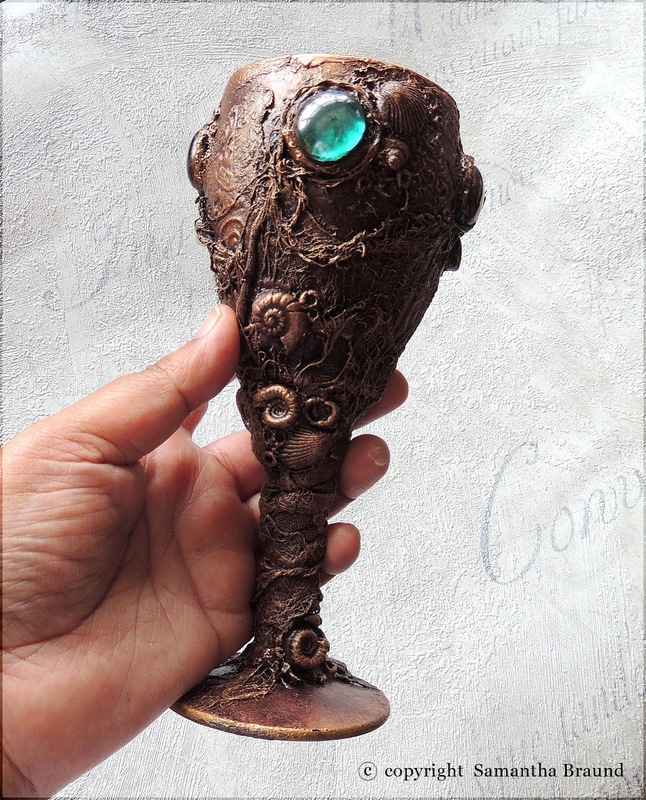 This particular goblet is very ornate and would definitely be more of an advanced Powertex class. 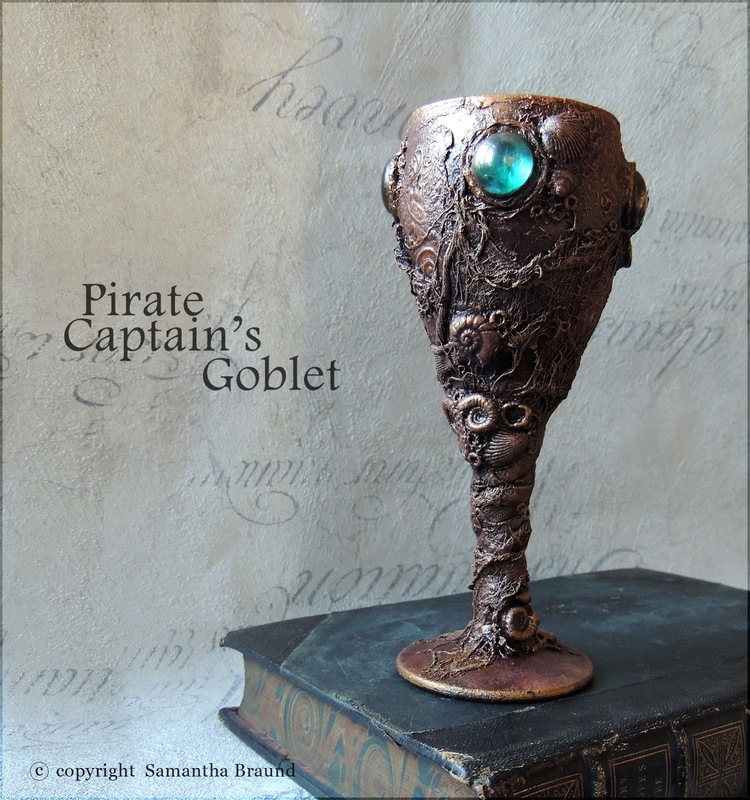 I am having fun thinking up projects to teach though :) For now enjoy the multiple views of the Pirate Captain's Goblet, which has 4 glass gemstones around it's crown and is covered in marine life .